The WWII JAPANESE AMERICAN INTERNMENT MUSEUM will celebrate six years of serving the community at 1 p.m. Saturday, April 13. The public is cordially invited, as well as teachers and students. Meet Nancy Chikaraishi and some of her art collection. All paintings pertain to Internment during WWII. Her work will displayed through mid-July. Meet Chris Soentpiet (pronounced: soon-peet), award-winning illustrator of many children’s books. Chris is illustrator of ‘So Far from the Sea,” based on Manzanar Camp in California. He will give a brief summary of this book and be around for a book signing. A Pilgrimage from California will be in attendance, with many former internees from the camps in Arkansas as well as other camps. Refreshments will follow the program. For more information, please call the museum 870-222-9168. The next professional development for teachers will be conducted at the WWII Japanese American Relocation Center Museum in McGehee on June 25, 2018, from 9 a.m. until noon. (Registration 8:30 a.m.). This event is sponsored in conjunction with the McGehee Public Schools. Participants will receive three hours of professional development credit. Contact the museum for additional details. 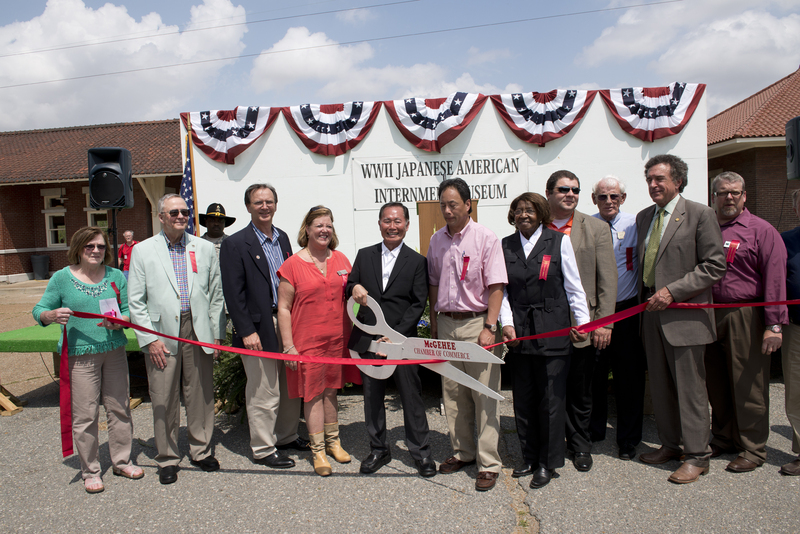 The WWII Japanese American Internment Museum at McGehee will celebrate its fifth anniversary on Monday, April 16. A program will begin at 1 p.m., and visitors are encouraged to tour the facility throughout the day. In the five years that it has been open, the museum has hosted nearly 12,000 visitors from all 50 states and from 44 countries. The WWII Japanese American Internment Museum will celebrate its fourth anniversary Tuesday-Wednesday, April 11-12, 2017, at the museum. Tuesday will be a meet-greet day for former internees and guests and an opportunity to tour the museum. The anniversary program will begin at 1 p.m. Wednesday in the breeze-way area outside the museum. Walter Imahara, former internee at Jerome, will be the speaker. The event also will include remarks by the president and former president of the McGehee Industrial Foundation, recognition of the 75th Anniversary of Executive Orders 9066 and 9102, roll call of the ten camps, and background on the two Arkansas camps. The WWII Japanese American Internment Museum at McGehee will offer a Professional Development Workshop on Monday, June 27. Registration begins at 8:30 a.m.; workshop runs from 9 a.m. to 3 p.m., with a working lunch. Participants will receive six hours of credit and will need to sign-up through the Educational Coop in Monticello, phone # 870-367-6848. 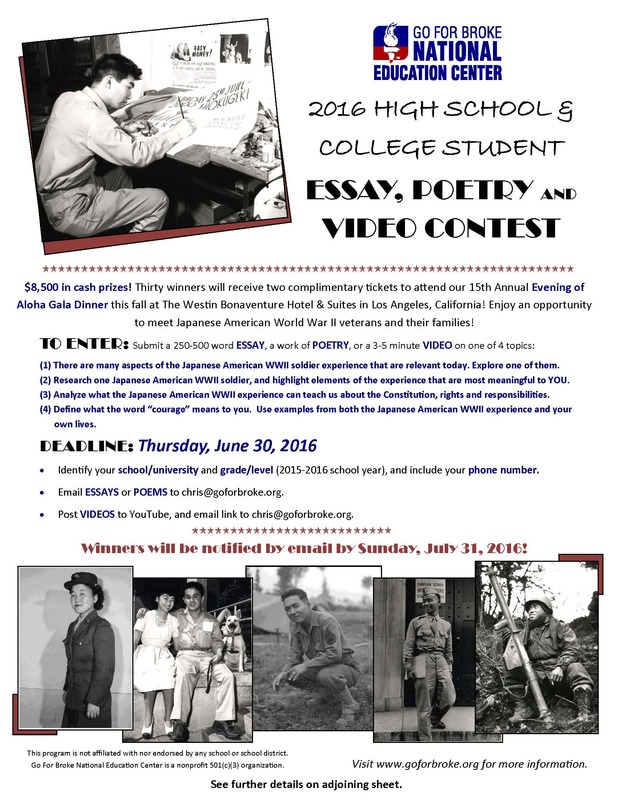 Go For Broke National Education Center (GFBNEC), a nonprofit organization that exists to preserve the legacy of Japanese American WWII veterans through education, is again sponsoring a Student Essay, Poetry, and Video Contest. The contest is open to high school students (grades 9-12) and college students (undergraduate and graduate). Cash prizes will be awarded to a total of sixteen winners: $1,000 (each) to the top six winners. Plus, the top thirty qualified winners will receive two complimentary tickets to attend the 15th Annual Evening of Aloha Gala Dinner this fall at the Westin Bonaventure Hotel and Suites in Los Angeles. At this gala dinner, the winners will be able to meet the Japanese American WWII veterans whom they researched about! They will also be treated to an Awards Brunch the following day. Click HERE for more details. 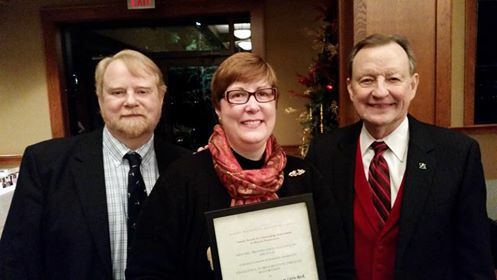 Restoration work at the Rohwer Japanese American Relocation Center Cemetery was recognized on January 9, 2015 at the annual Arkansas Preservation Awards sponsored by the Historic Preservation Alliance of Arkansas. The event recognizes important work being done throughout Arkansas to preserve and protect places of historical or cultural importance. The cemetery, the last physical remnant of the World War II camp, received Honorable Mention for Excellence in Preservation Through Restoration. The two most iconic monuments at the cemetery, the Monument to the Rohwer Dead and the Monument to the 100th Battalion, were restored through a National Park Service Japanese American Confinement Sites grant to the University of Arkansas at Little Rock. Dr. Johanna Miller Lewis, project director at UALR, accepted the award on behalf of the project team, including WER Architects/Planners and Kinco Constructors. Read details about this and other awards recognizing Arkansans’ work to preserve distinctive historic places in this Event Program. The Historic Preservation Alliance of Arkansas is the only statewide non-profit organization dedicated to preserving Arkansas’s architectural and cultural heritage. For more information about the Alliance, or photos of the projects contact Vanessa at 501-372-4757, vmckuin@preservearkansas.org, or visit PreserveArkansas.org. 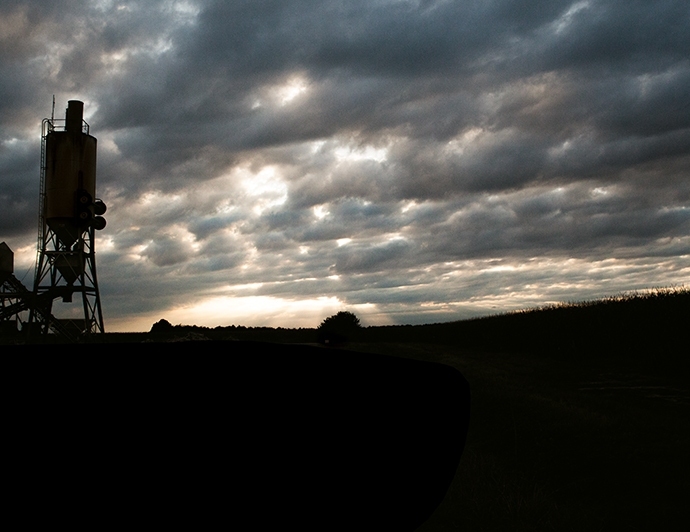 In the article, “Excursion: Fertile Ground,” AY Magazine explores points of interest in the Arkansas Delta, ranging from local businesses to historical sites. AY includes the Rowher Relocation Center Memorial Cemetery on its list of historical sites to visit, describing it as, “…a poignant reminder of one of this nation’s greatest trespasses against its own people….” To view the article, please click here. George Takei recently appeared on National Public Radio’s “Fresh Air,” to discuss his new documentary, To Be Takei. To listen to the interview, please click here. 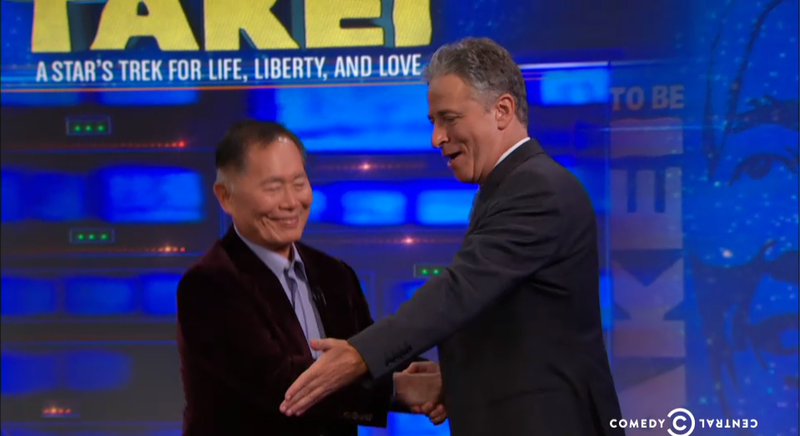 George Takei recently appeared on The Daily Show with Jon Stewart to discuss the documentary, To Be Takei. 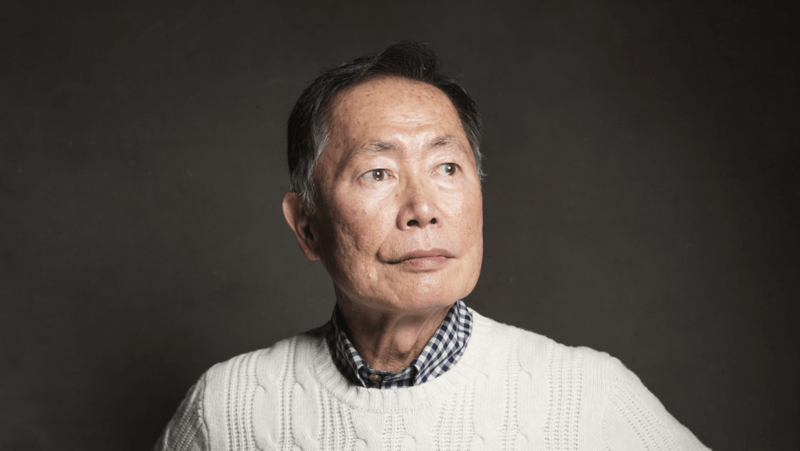 To Be Takei, an Official Selection of the 2014 Sundance Film Festival, tells the story of George Takei’s life, from his family’s internment at the Rohwer Japanese internment camp to his time working on Star Trek, and much more. George’s interview with Jon Stewart focuses on his experience at Rohwer. To view the interview, please click here.